Effective July 1, 2018, changes were made to the California Alternative Payment Program to help families and child care providers. This is causing changes in Infant Child Enrichment Service’s Subsidized Child Care Program. You may call your Case Manager at either ICES office M-F 8:30am – 5:00pm, Mariposa 966-4474 or Tuolumne 533-0377. Another option is to write to us via our Contact Us Page. 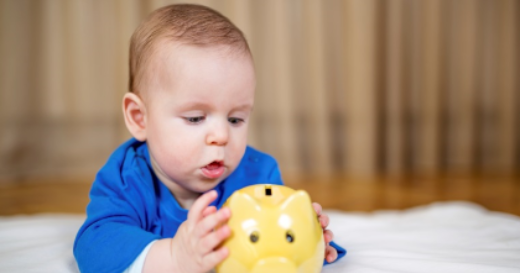 Do you need help paying for child care? If so, you are looking for "subsidized" child care. ICES operates a Subsidized Child Care Program with funding from the State Department of Education for Tuolumne and Mariposa Counties. This program pays the child care costs of eligible parents at the child care program of their choice. The State sets the rules that ICES must follow regarding who is eligible for assistance, what child care will be covered, and the maximum amounts that can be paid. The answers to the following frequently asked questions should explain the basics about the program. If you have additional questions and or want to sign up for this program, you can call or e-mail us. •	How can I get help? Click the link to submit a Child Care Subsidy Application online. You can also call us and we will mail you a form, or you can drop by one of our offices to pick one up. A case manager will review your application, review your documentation and explain more about how we can help. •	Is this service free? All of ICES’s services are free. There is no charge to apply and no charge for our services. However, depending on your income, you may be required to pay a portion of your childcare costs, called a “Family Fee.” In addition, if you select a childcare provider whose fees are higher than the limits set by the state, you will be responsible for the difference between the provider’s charges and what ICES can pay, referred to as “share of cost.’ We can help you understand these charges and help you find childcare that fits your needs as well; contact us anytime for more information or assistance. •	Who is eligible for help with child care costs? For most families, initial eligibility for the Subsidized Child care Program is based on income and need. You must have a reason for needing child care such as working, attending school or a training program, or looking for work. In two parent households, both parents must have a need. Foster families, families who have are receiving or have received cash aid within the past 2 years, and parents who are incapacitated may also be eligible for assistance. •	If I'm eligible will I receive services immediately? After submitting your application, you will be asked to provide supporting documentation of your income and childcare needs – this may include items such as birth certificates, employment verification, school schedules, child support information. Your case manager will work with you to identify what information is needed and keep you informed on your eligibility status. We cannot begin enrollment until all of your documentation has been received, so often times, the speed of the enrollment process depends on you. 1. Do you have a child care provider? We cannot begin services until you have selected a child care provider and you have secured a spot in the child care program for your child/children. It is ok to utilize more than one provider if necessary if one is not available during all of the hours you need, or if you have children going to different providers. We can also give you a list of local child care providers and can share information and resources about child care as well. 2. Is the provider you have selected already participating in the Subsidized Child Care Program with ICES? If not, we will need to meet with that provider to set them up in our Subsidized Child Care program before we can begin services. Currently there is no waiting list. However, depending on our funding, there are times when the need is larger than the amount of funding available. When this happens, we create a waiting list where families are placed based on income, family size and certain risk criteria; we are then required to enroll families off of that list. We will determine your ranking based on your income and family size and established need. This sometimes means that a family that has been on the wait list a shorter amount of time than you may be enrolled before you because they have a lower income and/or more family members than you, or a special need that ranks them higher on the list. •	When will I be called? We will keep in touch with you after you submit your initial application to help you figure out what supporting documentation you will need to provide based on the need and income listed in your application. We may also set an appointment to meet with you to determine your potential eligibility. Sometime families who have submitted an application or who have been on our wait list cannot be reached when we try to contact them. Make sure we have your most current phone number, email address, and mailing address so we can reach you when needed!